Also called the milkman's trail, the extraordinary feature of this trek is the stark contrast between rich green forest and bare grasslands on northern and southern slopes. It appears like a line has been drawn in between, which gives a bizarre effect although the contrasting tones are beautiful. 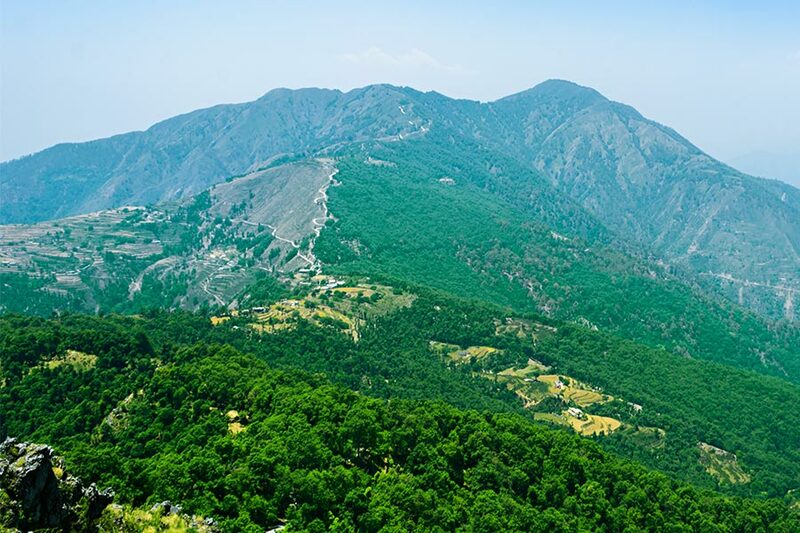 The walk takes us to the village of Dudhli, which is home to the milkmen of Mussorie. Bhadraj Temple has been restored in cement and its ancient character restored. The new white colored structure is visible from afar. The idols inside the temple are magnificent and display Budhist Influence. Every August, there is a huge festival which is undertaken and offerings of milk are made. Thousands of people from surrounding villages come to visit the temple and it become a huge affair. The views are expansive on both sides, where snow capped peaks greeting us to the north and Shivalik hills in the south. A cool breezes accompany the trekker throughout the trail as the walk is constantly along shades of oak forests, thus making it a pleasurable experience. Our cars will drop you at Dudhi, which is home for milkmen in Mussorie, hence the name milkman's trail. From Dudhi, we will start our ascent to the ridge on the west and after a long and tiring trail of 8 kilometers, we will reach Bhadraj Temple. We have to follow the green and prettier northern side of the contrasting ridge along the forest. 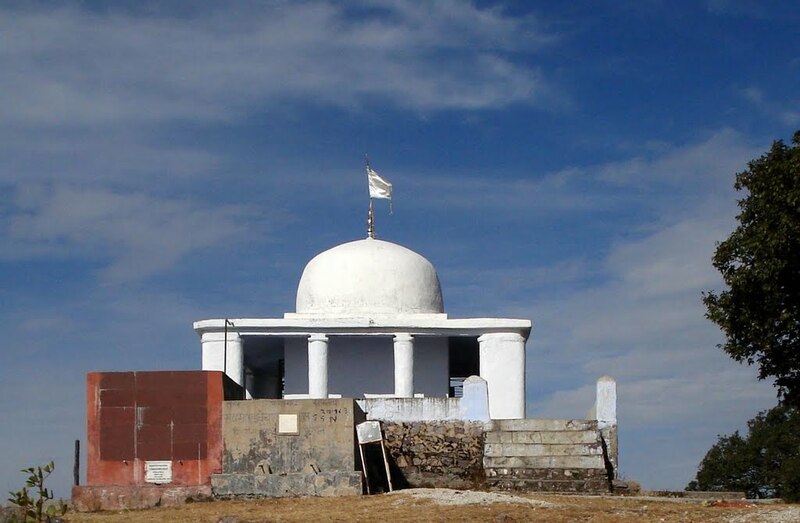 In 3 hours we will reach the temple top, from here we can descend back to Dudhi after some rest and paying respects at the temple where our vehicles will be waiting for you to ply you back to Mussorie.